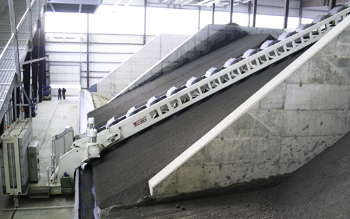 Storage systems are designed to modernize operations in bulk material handling by automating the extraction of material, reducing operating costs, and improving the properties of the mixture. 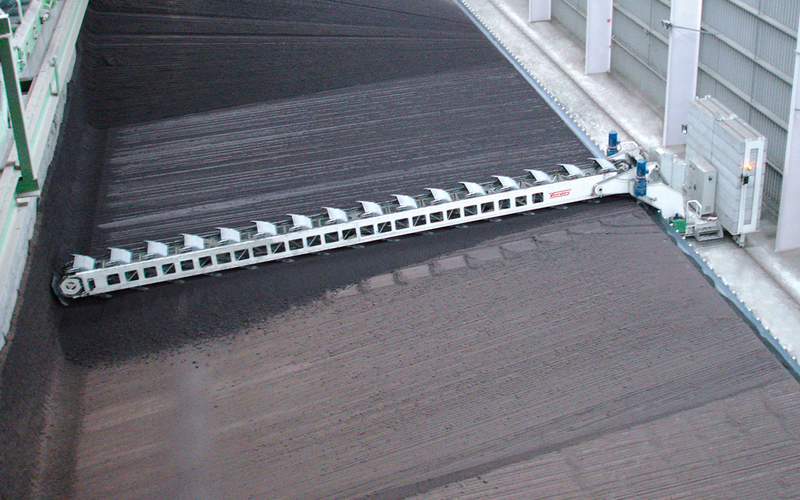 They are machines commonly used in the clay brick making process. 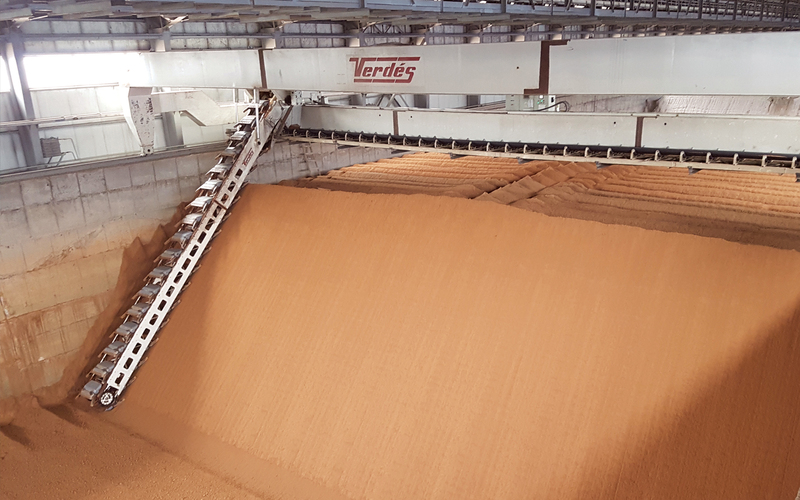 For improved clay qualities, the storage system reduces variations in moisture and increases homogeneity and plasticity of a previously prepared mixture. 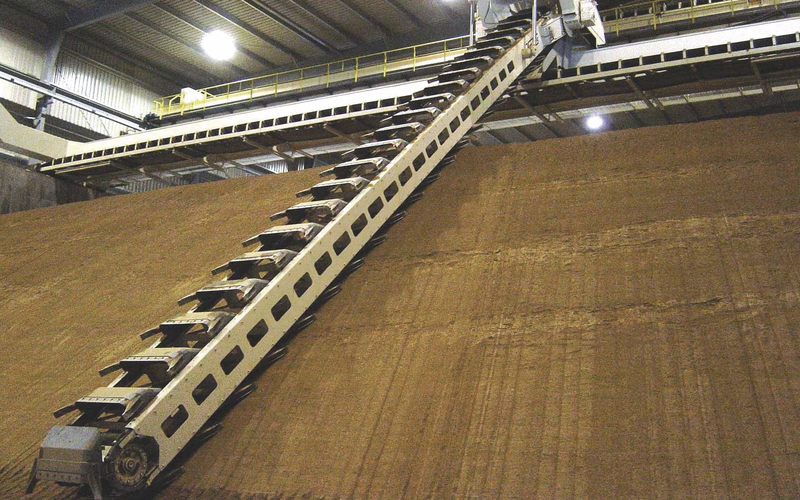 - Reclaimers for longitudinal storage systems and the Chevron filling pattern. 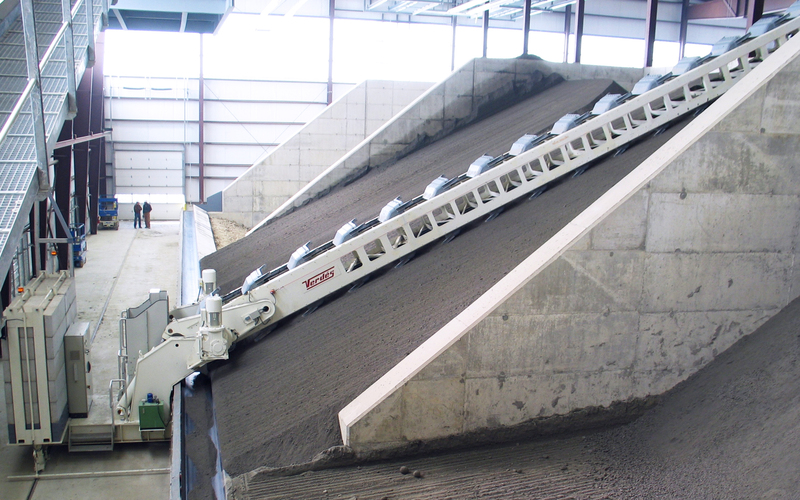 - Overhead dredging excavators for pit storage systems and the Windrow filling pattern.